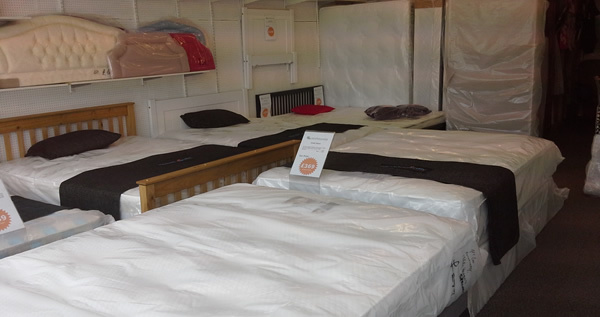 Quality Mattresses & Beds at Affordable Prices. Get one today with FREE local delivery. Looking for a decent affordable mattress or bed? Then come and visit us at our shop in Sidley High Street (opposite the New Inn Pub) to try out one of our many popular items. We have all types of mattresses from Open-Sprung Orthopaedics to Pocket-Sprung Memory-topped luxuries. From budget divans for the guest room, to grand fabric bedsteads that’ll compliment any stylish bedroom. We have plenty of choice, in all sizes, that won’t break the bank. A family-run independent supplier, Mattresswise has been dealing beds from this Sussex location for over 10 years now, retailing mattresses manufactured mostly in the UK from reputable companies such as Highgate’s Healthopaedic range, Vogue Beds, & Amani International. We always have a wide range in stock, including pine and metal bed frames, and a great selection of stylish affordable headboards for your new divan. And what we don’t have in, we can order specially for you! That also includes custom sizes of mattresses/divans, custom colours and fabrics for your base, and a range of Contract Beds for commercial needs. What’s more, we offer FREE same/next day local delivery, and a collection & recycling service for your old mattress or bed. A great bed is little without a quality mattress. At Mattresswise we know that different people need different types of mattresses, and that’s why we offer a wide range of mattresses to suit all pockets & preferences to ensure you always get a great night’s sleep. Come and visit our store to try out a few today. We're confident we can find something to fit your body and your budget! 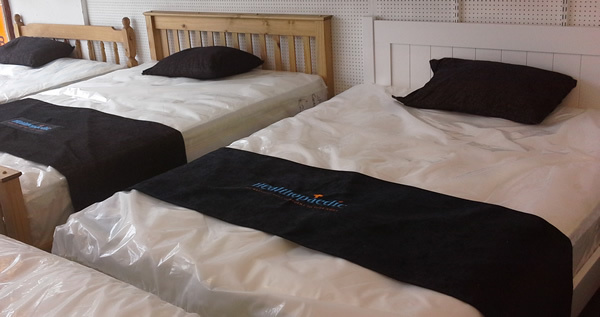 Mattresswise is an independent family-run supplier, established in Bexhill now for over 10 years. The majority of our beds & mattresses are manufactured in the UK, which we have in stock ready for same or next day delivery. Discount Prices & FREE Local Delivery!